“Surprisingly, I started out in college intent on becoming a zoologist. I was attending UC Berkley, heavily involved with animal research, especially whales.” Dr. Oliver knew it was either go into graduate school in that field and become involved in academics, or indulge his love of working closely with people and enter the medical field. Dr. Oliver went on to UC San Francisco for dental school, and upon graduation completed a residency program at Mt. Zion Hospital in San Francisco. He is still heavily involved with continuing his education, taking courses in general dentistry as well as in his interest areas of oral surgery and dental implants. Additionally, Dr. Oliver has been the Chairman on the Peer Review Committee for the Contra Costa Dental Society since 1997. 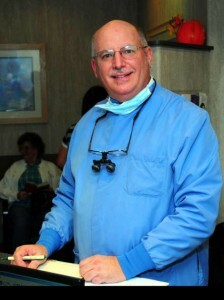 Dr. Oliver loves living and practicing in the Bay Area where he grew up. Being right on the water, he has a love for boating, sailing, and fishing, passions he shares with his son. They also like to travel together and are active in skiing, bike riding, camping and going to live music.